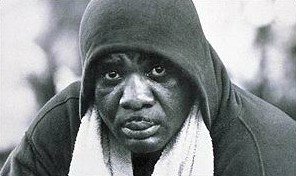 What was going on in the life of the great Sonny Liston 47 years ago this week? Was the former heavyweight king, soon to be found dead, busy taking drugs in a fit of self pity in his Las Vegas apartment, or was the (officially) 38 year old being set up for a mob hit, with dark forces rapidly closing in? Or was Liston, by Boxing Day in 1970, in fact already dead? Liston, 49-4 overall, was considered a long shot to ever regain his old title – the one he’d surprisingly, and meekly, surrendered in his now infamous February 1964 fight with Cassius Clay – but he was still more than expected to take care of the hittable Wepner. And, sure enough, after a largely one-sided fight, Liston got the TKO win. Having decked the durable Wepner in the fifth-round, with a body shot, the 38-year-old also proceeded to tear Chuck’s face to shreds. At one point, so legend has it – in going back to his corner, Liston told an aid that he felt unable to hit Wepner any more; such damage had he done to the gutsy brawler’s face. Finally, after the 9th, referee Barney Felix, via the ring doctor, signalled he’d seen enough and pulled out the badly bloodied Wepner. Later, when asked if Wepner was the bravest man he’d ever known, Liston replied, “no, his manger is.” Wepner’s manager was Al Braverman (brilliantly portrayed by Ron Perlman in the aforementioned “The Bleeder”). But for two things the Liston-Wepner fight would carry no significance today: one, the fight was the last in the career of an all-time great, and two, Sonny was rumoured to have been instructed to take a dive in the fight and was killed for not doing what he was told. This last element, or suspicion, has ensured how the 1970 fight is still talked about all these years on. For years, rumours told us how Liston, ordered by Wepner’s mob “handlers” to take a dive so that they may earn a bundle at the bookmakers, was subsequently killed for not complying. And there is no doubt, a mere six months after the fight was over, Liston was found dead in his Las Vegas apartment (the official version says Sonny’s wife Geraldine, upon returning home from a trip away, found her husband’s lifeless and already decomposing body on January 5th, 1971 – six months and two days after the Wepner bout). But was Liston really murdered, and was it by the mob if by anyone? The official story has it that Liston, a man who was always afraid of needles, died of a self inflicted, but possibly accidental, heroine overdose. Reportedly, a syringe was found near Liston’s body, small bags of heroine were found in his kitchen and, perhaps most importantly, a small puncture wound was seen on his right arm. However, Liston’s body was so badly decomposed when authorities arrived that no 100-percent autopsy was ever possible. To this day, Liston’s death screams of murder in many quarters. But would the mob, if they even did the deed, really have waited six long months before paying Liston back for not taking the dive they demanded? But if he was not murdered, was Sonny a victim of a self inflicted overdose? A number of people close to him doubt it. First of all, his wife Geraldine always stated how her late husband was no drug taker, and Liston’s last manager, the late Davey pearl of referee fame (think Leonard-Hearns I) went on record as saying Liston was hospitalised around a month before the Wepner fight, and that is was then that the tough guy who had a fear of needles was put on an intravenous drip; thus explaining the needle mark on the former champ’ s arm. Add it all up, as far better detectives than fight experts have attempted to do for close to five decades, and Liston’s death remains one helluva mystery. Indeed, Liston’s whole life was something of a mystery. As one great writer once put it; no-one knows when Sonny was born, and no-one knows quite when he died. Officially, Liston was two years short of 40 when he passed, but some experts believe he may have been closer to 50.